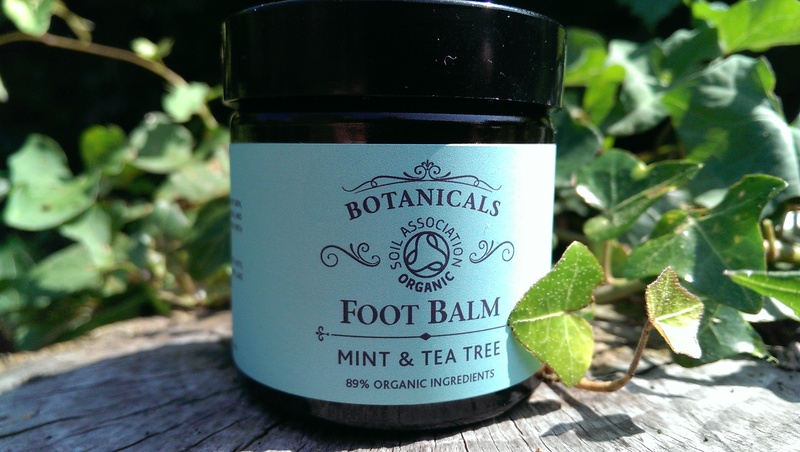 Botanicals Foot Balm - Rub it in and Relax - Reclusive Fox ""
Feet are funny things aren’t they? Some people love them, others hate them, but we all have to take care of them. Our feet work so hard for us every day, even people like me who aren’t the most active in the bunch. That’s why I love to treat my feet to some serious pampering. It’s also why when I read about Botanicals and their success at the FreeFrom Skincare Awards I simply had to try their product out for myself. Botanicals entered three of their products in the awards and they came out on top, winning silver in the best FreeFrom Brand awards. One of the products that they entered was the Botanicals Foot Softening Balm and this is what I was really interested in trying out. Feet need a lot of tlc and if I can find an organic product that’s going to be kind to my skin and effective at helping my feet look and feel beautiful then I’m going to jump all over it! When the Foot Balm arrived I was immediately impressed by the quality packaging and elegant design. As soon as I removed the lid I had to have a sniff and I could definitely smell the tea tree and the mint that resulted in a highly refreshing fragrance that smells cool and clean – exactly what you want rubbing into those hot feet at the end of a busy day (even just a busy day sunbathing). The label suggests applying the balm to your feet before bed and as it was morning I decided to wait…. Finally, after a day of walking up the hill and back again and sitting at my desk it came to bed time, yes! Applying the balm was as you would expect, easy and extremely calming. It was a very hot night and the balm seemed to melt on impact but it rubbed in well and it felt like it was doing my poor feet some good. I paid close attention to my heels and the balls of my feet, that pesky area under the big toe. These are my problem areas and I work hard to ensure the skin remains soft. If I let them be I would have hard skin building up and that’s the last thing I want (my boyfriend would hate that too!). After applying a generous blob of the balm on the first foot I quickly released that it was best to stick to the suggest pea sized amount on the label. The balm turns into an oil and a little does go a long way – giving you great value for money as well as the perfect excuse for a foot massage! I then popped on some cotton socks and hopped into bed. The next morning after checking my phone and emails I checked my feet and they did feel soft, result! I have repeated the application all week and I’m so pleased with the results. The back of my heels seems to be benefiting the most – the skin is certainly softening up, just how I like it. The freshness of the aroma combined with the ethos and philosophy of Botanicals and the softening dry skin busting effects that are achieved have left me and my hot feet very happy during this heat wave – long may it continue. First off Botanicals gets a massive thumbs up from me as it contains 89% organic ingredients and it isn’t tested on animals, big win! Secondly I enjoyed how the balm melted into the skin; the resulting oil fed my dry feet and absorbed all the goodness. Thirdly my skin feels soft and nourished. 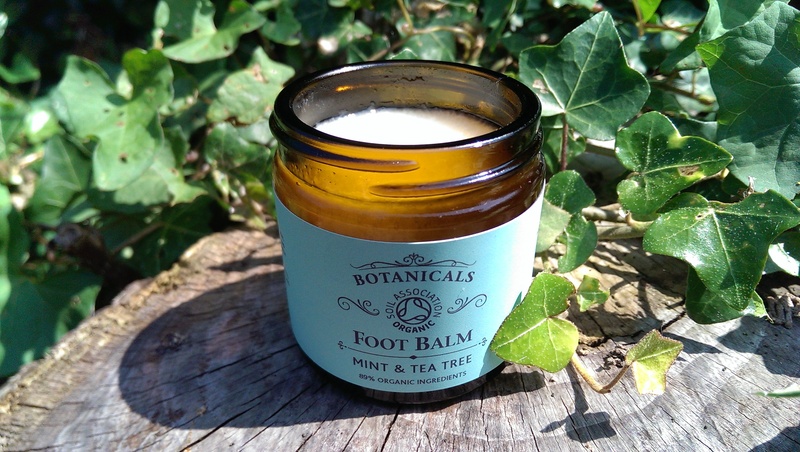 My final say – If you love your feet it’s worth pampering them with a product that will be kind and hard-working and Botanicals Foot Balm ticks all the boxes. In the summer I ramp up my foot care routine simply because my feet are on display. This is how I keep my feet soft and kissable. Soaking in the tub. I’ve had foot spas in the past but I find them far less enjoyable than simply relaxing in the tub. Foot scrub – I always apply foot scrub or a body scrub to my feet (at the moment I’m loving Lush Sugar Scrub). Pumice Stone – If there is stubborn hard skin on my heels or on the balls of my feet I tackle it with a pumice stone, using gentle circular motions to remove the dead skin build up. I find the pumice stone is more effective and pleasurable to use than a foot file, but that’s my personal preference. Foot Balm – Once out the bath I gently pat my feet dry and apply the foot balm. As soon as I have rubbed it in I put on some cotton socks. The cotton socks are removed once in bed just before I drop off as I can’t sleep in socks! Moisturise – The following morning I apply a smothering of moisturiser and my chosen nail polish of the day. I was sent the Botanicals Foot Balm to review but my opinions are my own. Just what I need at the moment along with your foot care routine. Sounds wonderful and just what my poor feet could do with. The mint is just perfect for this hot weather too. I definitely think I need to try this. My feet have taken a bit of a battering recently, from a lot of hiking, so I need to take care of them more.